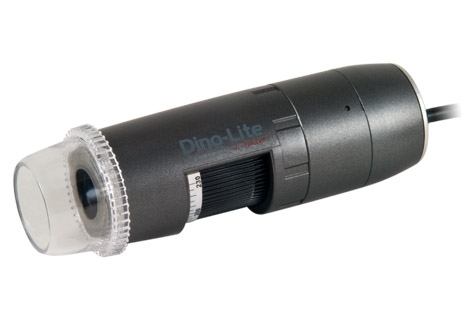 The Dino-Lite Premier AM5116ZT, features rotatable polarizer and D-SUB interface with 720p resolution. Its rotatable polarizer help suppress light reflections that improve visibility on surfaces otherwise hard to see with non-polarized light. The D-SUB interface connects the AM5116ZT directly to a VGA monitor for low total system cost. Attributes that makes the AM5116ZT suitable for applications such as but not limited to industrial inspection, dermatology, presentation, and more.